What do you think of the range of works by Arab authors on the German book market? Faehndrich: The German-speaking market has a preponderance of literature by Egyptian and Lebanese authors. Other countries, by contrast, are not represented at all. The Arabian Peninsula, for example, is totally under-represented. You can search in vain for Yemeni or Omani literature. Saudi literature is likewise virtually non-existent. Maghrebi literature is usually translated from the French only. There are only one or two works from Tunisia that have been translated from the original Arabic into German. The same goes for Algeria and Morocco. To my knowledge, nothing from Mauritania has been translated from Arabic. Iraq is represented by a few books; Libya by a single author. You have just finished translating “The Dove’s Necklace” by the Saudi Arabian woman writer Raja Alem, a novel that doesn’t correspond at all to the clichés people tend to associate with Saudi Arabia. And it appears that people in this country are hardly taking notice of the book. Do you have the impression that readers have certain expectations of Arabic literature and ignore anything that doesn’t fit the preconceived image? Faehndrich: Here in the German-speaking world, Arabic literature is still looked upon as something in the vein of “The Thousand and One Nights.” That work did indeed play an important role in literature. But at the same time, it imposes a cliché on the Orient. The new translator of “The Thousand and One Nights” is receiving invitations from all over Germany. A bit of Oriental music is played, “fairy tales” are read, and the auditoriums are packed. If, on the other hand, I would like to hold a reading by a new writer from Syria or Libya, I first have to find a bookstore that is willing to host it and then I’m lucky if ten or 20 people show up to listen. “The Dove’s Necklace” is a very complex novel with various storylines, images and developments. It does not match any of our clichés about the Orient but is instead an independent and unconventional novel about a city that is the pole of religious thinking for one and a half billion of the world’s inhabitants. As a translator, do you have ways of persuading publishers to publish Arab writers? Faehndrich: There is the job of scout, a kind of consultant, who proposes titles for translation to publishers. I know translators working in Scandinavian languages who are very much in demand as scouts. In the case of Arabic literature, though, most publishers prefer to get their information from the Internet. I find that demoralizing. It means that they can only translate the titles that are already available in English or French. I’ve listed a number of books on my website that would be worthwhile translating but for which I can’t find a publisher. Instead, books are being translated that are not necessarily of value but which grab attention by breaking a taboo or causing a scandal. There are obviously commercial reasons for such translations, but it is questionable whether they are able to enrich our relations with the Arab world. Which publishers in the German-speaking world are devoting themselves to Arabic literature? Faehndrich: The publishers that have engaged most in recent decades with Arabic literature were Lenos Verlag in Basel and Unionsverlag in Zurich. In the 1980s, Verlag C.H. Beck collaborated with the Kiepenheuer publishing group to bring out an “Oriental Library.” There is Edition Orient in Berlin and Alawi Verlag in Cologne, which publishes new Arab women’s literature. Luchterhand Verlag brought out the German translation of the novel “Azazeel” by Youseef Ziedan. 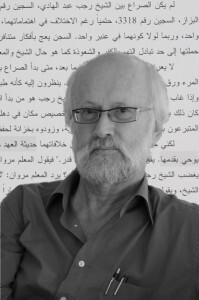 Some titles have been published by Hanser Verlag (for example the German translation of the novel “June Rain” by the Lebanese author Jabbour Douaihy), which is also open for further Arabic titles. Meanwhile, S. Fischer Verlag has begun to publish novels by the Egyptian author Alaa Al Aswany, and a few Lebanese titles were recently released by Suhrkamp. What I don’t see is an on-going interest in Arabic literature. I wish that one of these publishers would at some point translate five or ten works from different parts of the Arab world.